Vasant Navratri is one of the major Hindu festivals of India, which is celebrated for nine long days. 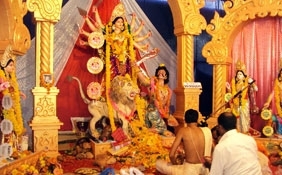 The whole festival is devoted to the Goddess Durga. 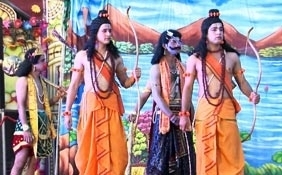 Vasant Navratri Festival is largely popular in the North India. It is celebrated in the month of March and October. Also known as Ram Navratri. 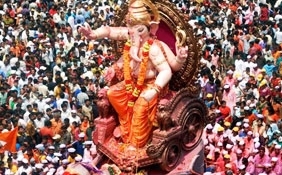 The festival in the month of March lacks grandeur and fanfare but the October festival is marked with vibrancy and liveliness. Keep fast during this festival. 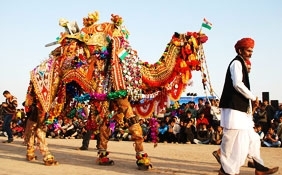 Celebrate the festival with great pomp and fervor. Vasant Navratri is one of the major Hindu festivals of India, which is celebrated for nine long days. The whole festival is devoted to the Goddess Durga, the epitome of absolute power. 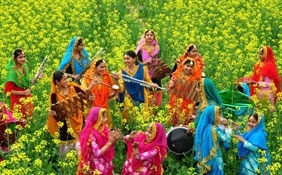 Vasant Navratri is celebrated during the month of spring. 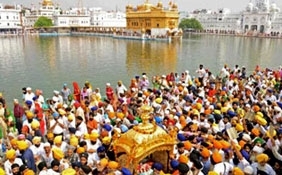 People keep nine days fast and pay homage to the Goddess. 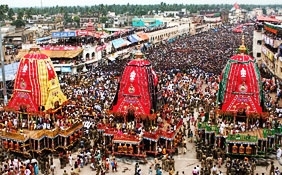 This festival is much awaited by the people every year. Also known as Ram Navratri, this festival is celebrated twice a year and falls on the ninth day of the month of Chaitra. 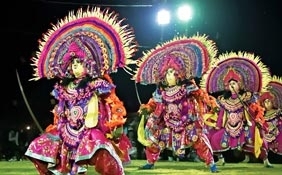 Vasant Navratri Festival is largely popular in the North India. In the Vaishno Devi temple in Jammu, Vasant Navratri is celebrated with great fervor and excitement. 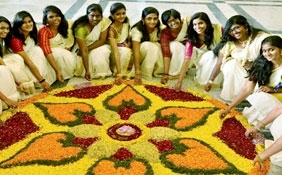 It is also celebrated in South India, East India and West India. 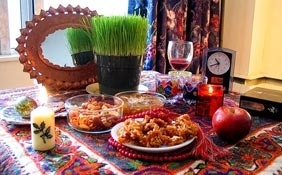 It is celebrated in the month of March and October. 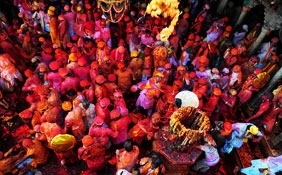 The festival in the month of March lacks grandeur and fanfare but the October festival is marked with vibrancy and liveliness. 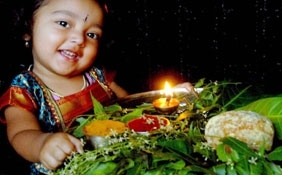 The Vasant Navratri festival in the month of October marks the seasonal changes. Vasant Navratri is thus celebrated to worship the goddess of Shakti Parvati and to mark the seasonal changes. 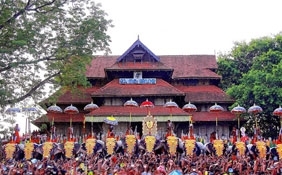 People celebrate this festival with great excitement. New garments and worn by all people to celebrate this festival. 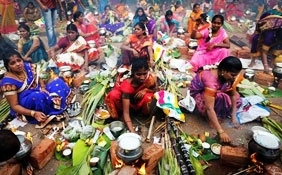 Various rituals and rites are performed so as to pay homage to the Goddess. 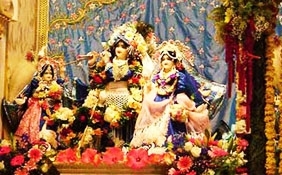 Seasonal fruits and sweets are offered to the goddess as a part of the puja. People visit the house of their relatives and greet each other. Houses are beautifully decorated and illuminated with lights and lamps. 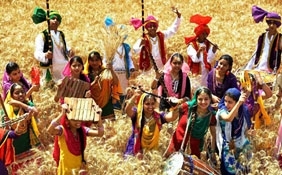 Various cultural programs are arranged so as to make the Navratri festival a grand affair. People make traditional sweets at their home and this is a major part of this festival. 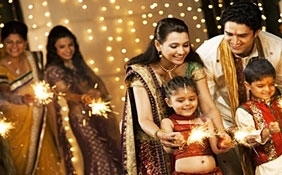 Navratri nights become colorful and lively because of the music, lights and enjoyment. 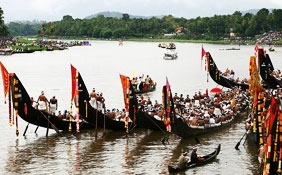 People await this festival for all the years. During this time of the year, people of the Jain community celebrate Ayambil festival with great devotion. People fast and have intakes of only pulses and cereals. No food is prepared with ghee or spices. 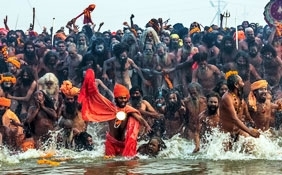 They consider this festival as the time of the cleansing and penance.